hello lately: Hello Lately Cards That Look Like YOU! This week I'm ordering a huge supply of new greeting cards. 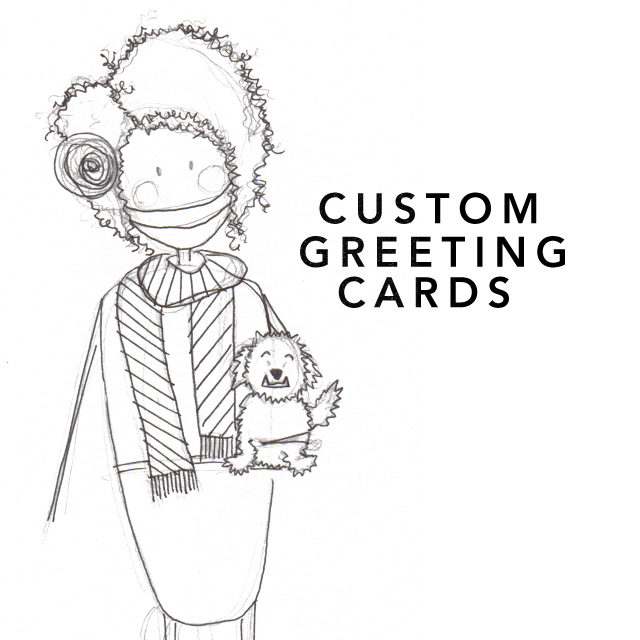 And since I'm ordering in bulk, this is rare occasion where I can offer a special deal on CUSTOMIZED Hello Lately cards. This means I can paint a Hello Lately character that looks specifically like YOU and your loved ones. It's like customized stationary - except with a unique caricature. If you're interested, click HERE to check out the listing on Etsy. This opportunity will be removed next Thursday night, so make sure you place any and all orders by then!